As part of the Blue Certified article series on sustainable scuba diving and tourism, we aim to highlight leaders in the dive industry. At Scuba 6 Eco Diving in Isla Bastimentos, Panama, educating customers about ocean ecosystems not only provides a more meaningful experience but promotes ocean conservation. At Scuba 6 Eco Diving, school’s cool! Eco Briefings teach why and how the formation of the Isthmus of Panama is related to the special marine life there, fun fish facts, and strange behaviors of the cool creatures divers are likely to see. Full comprehensive Eco Briefings give divers knowledge of the marine life below. 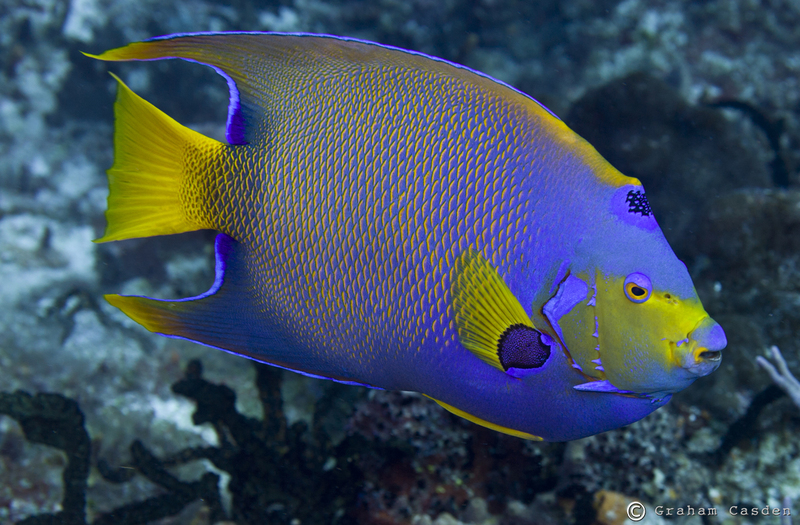 Divers regularly say their experience is more interesting because they are not just looking at fish — but actually understand what they are doing and how everything fits together. Scuba 6 Eco Diving is in the dive industry because of a strong passion for the underwater world. Their motto: dive with a purpose, see more, and have more fun! “We are dedicated to diver education, marine protection and community awareness” says Ginette Bariteau, owner of the dive shop. Protecting what we love is a key goal of Blue Certified. Blue Certified is an eco-certification focusing on 30 best practices around sustainable diving, tourism, and business. Through the program, dive shops learn and implement the 3 P’s of sustainable business that include profit (economic), planet (environmental), and people (socio-cultural). Developed by Ocean First Institute (OFI), in partnership with Sustainable Travel International, Blue Certified provides scuba dive operations with the tools to perform better for themselves, the environment, their community, and their customers. Dive in with Scuba 6 Eco Diving, share their love and wonder for the marine environment, and feel good knowing you are helping protect the marine environment one dive at a time. 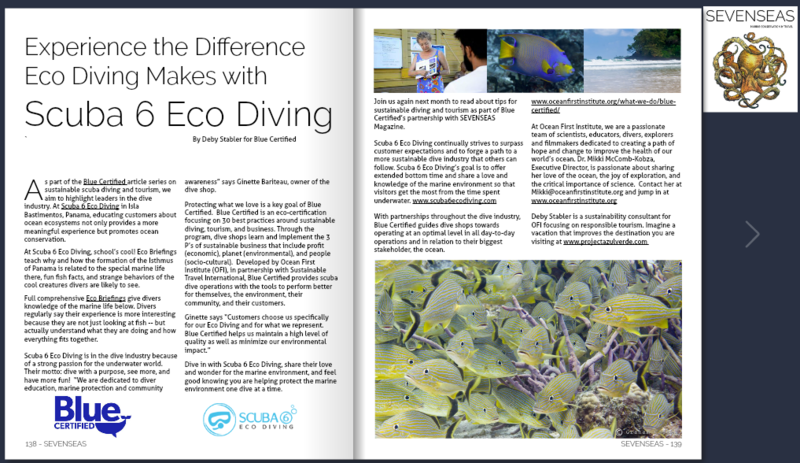 Join us again next month to read about tips for sustainable diving and tourism as part of Blue Certified’s partnership with SEVENSEAS Magazine. With partnerships throughout the dive industry, Blue Certified guides dive shops towards operating at an optimal level in all day-to-day operations and in relation to their biggest stakeholder, the ocean.